Metro's Second Worst Decision Ever? "Plenty of Room for Other Names"
I know the problems with Metro escalators are well documented, but I just saw something on a completely different level about this morning at Foggy Bottom. After unloading from a train, people were exiting the gates, and a Metro employee was telling everyone leaving the station to take the left hand escalator because the right hand was broken. 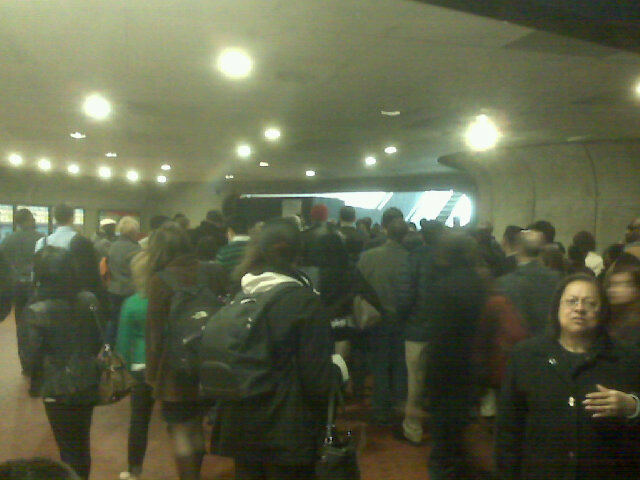 Despite this, people were still walking down the right hand escalator. 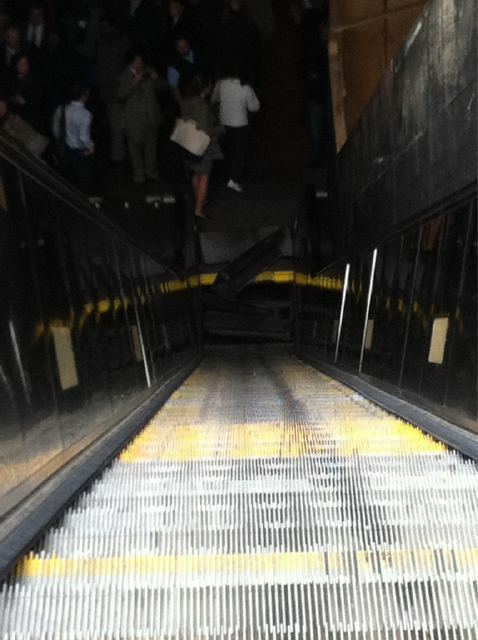 The bottom two or three steps of the escalator literally collapsed! They fell through leaving a gaping hole at the bottom of the stairs. Two or three people fell in. I would say it was about a three foot drop into jagged steel from the overturned stairs, not to mention whatever else is underneath the escalator. The people managed to pull themselves out and didn't look seriously injured, but one woman was pretty shaken up. Metro's response was also less than encouraging. When the stairs first fell through, people started yelling, and one employee (the same one who had told us to take the left hand escalator in the first place) began walking toward the commotion. But then he stopped, turned around, and ran back yelling for someone else to do something. 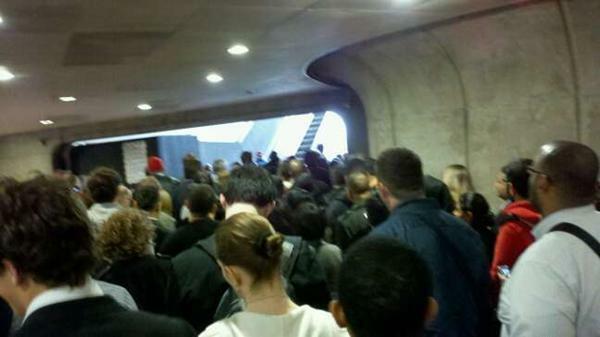 This is while Metro customers were pulling themselves and others out of the wreckage. I don't know if he was trying to get more help, follow some BS protocol, or what, but it seemed like it took them way too long to respond. I thought it was bad enough when the escalators were constantly undergoing maintenance; I've been commuting on Metro daily for about three years, and I don't think I've witnessed a trip where there wasn't some type of escalator outage. But now the escalators that are actually open (open but not running) are collapsing and swallowing people? This is ridiculous. Another amazing commute on Metro.